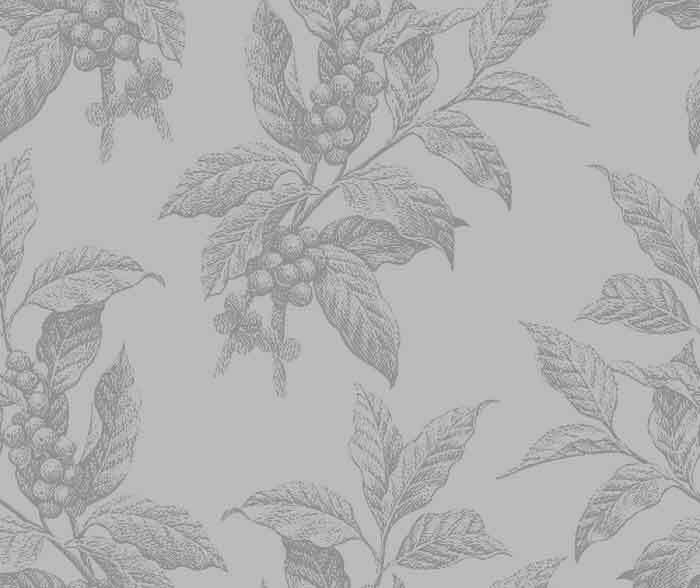 From The Times Literary Supplement. May 12, 2006. In America recently, the former Education Secretary, William Bennett, created an uproar by saying that "if you wanted to reduce crime, you could, if that were your sole purpose, you could abort every black baby in this country, and your crime rate would go down. That would be an impossible, ridiculous and morally reprehensible thing to do, but your crime rate would go down." The remark was widely characterized as "racist" and President Bush was called upon to disavow the views of his fellow Republican — and obliged with that new favourite substitute for moral judgment, the word "inappropriate." Yet while doubtless tactless — the sort of deliberately provocative comment that delights the philosophy professor, which is what Bennett used to be — his words had been in substance nothing more than a re-statement of the undisputed fact that in America blacks proportionately commit more crimes than whites. It was of course not the first time that this particular statistical datum had come up hard against political reality. The controversy over "racial profiling" by the police in the 1990s — actually there was hardly any controversy as nearly everyone was officially against it, even the police — was revived after security measures were tightened in the wake of the 9/11 terrorist attacks. Just as it was politically impossible to notice that blacks proportionately commit more crimes than non-blacks, so it swiftly became impossible to notice that Muslims proportionately commit more airline hijackings and suicide bombings than non-Muslims.The security check at Melbourne Airport that Prince Andrew recently found so provoking was in essence a demonstration by international officialdom of racial good intentions, as have been the heavy fines levied against four American airlines whose pilots have refused to carry Muslim men whom they regarded as security risks. All these are reasons why profiling, where it exists, has been little studied and remains extremely difficult to study. 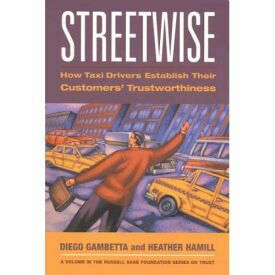 That may be part of the reason why Diego Gambetta and Heather Hamill decided to survey taxi drivers.That and the fact that taxi drivers know their lives can depend on a rough and ready sort of profiling. In America, driving a taxi is the most dangerous job there is when measured by the likelihood of being killed. The result is Streetwise, which suggests that there is a lot more to profiling than race. Even in New York, one of the two cities studied, the authors find that race is only one, and at that not the most important one, of a range of visual cues that drivers routinely take into consideration in deciding whether or not to stop for a fare. In Belfast, the other city whose cab-drivers they interviewed, the informal system of profiling employed by drivers obviously requires a lookout for much more subtle indications of malign intent. They themselves don’t use the word "profiling," instead referring to it as "screening" or "statistical discrimination" — on which they offer what they call an "ethical digression" that amounts to a defence of the practice, at least in the case of taxi-drivers. "In an extreme case," they write, quoting Jon Elster of Columbia University (who also blurbs the book), "suppose that if they ignored ethnic markers they would be virtually certain to be killed on the job at some point. Would it still be unacceptably unfair to take them into account?" There once again, perhaps, we have Bennett’s provocative professorial touch. This seems to me to miss the point made by at least some of the critics of profiling who, for ideological reasons, start from the a priori assumption that race can have nothing to do with crime and therefore that any statistical correlation between the two must be in some crucial sense accidental. It’s safe to say that there aren’t many taxi drivers among those who make this assumption. 12. Friendly and calm over aggressive or agitated. Because it usually takes two or three (at least) of these negative indications to make a driver refuse a fare — and because they also have an economic interest in refusing as few fares as possible — the authors claim that their drivers can no more be guilty of racism than they are of reverse sexism or ageism because they prefer older and female passengers. They also acknowledge the difficulty of assessing the effectiveness of screening since there is often no way to tell whether or not those whom the drivers refuse to stop for, for whatever reason, were in fact dangerous. This is even more true of New York doormen, the subject of Peter Bearman’s book, who routinely describe their function as "security" but who — at least the ones interviewed by Professor Bearman — almost never encounter actual criminal intruders. There seems in this case almost no way to tell how far it is the presence of the doorman himself which acts as a deterrent and how far the relative crimelessness in the mostly upscale apartment buildings invigilated by doormen is owing to the relative absence of criminals in the neighbourhood. 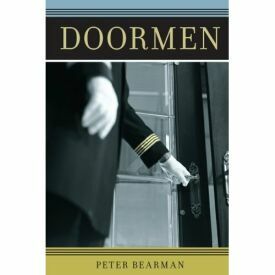 Professor Bearman, who describes the function of the doorman rather as "insulation" than "security," is like Gambetta and Hamill in being prepared to treat with a certain indulgence what others might regard as racial discrimination on the part of his subjects, since doormen "are much more likely to announce minorities than any others." This may be "because tenants who prefer to have all visitors announced are least likely to have minority friends, or because in a context of uncertainty, doormen invoke the homophily rule to determine how to respond to building visitors, a rule that, because it is accurate most of the time, is remarkably efficient." In either case, "doormen are not any more prejudiced than others," even though "the exercise of small micro pre-preferences (of tenants or doormen) has quite striking global impacts." Much more than Streetwise, Doormen is concerned with the description of a micro-scale social system, that of the doorman-building in New York. But the fact that profiling is built into this system does not seem to strike Professor Bearman as having any global impacts of its own. Taxi-drivers would again, I think, be sceptical.